scrappin it: Website Launch Giveaway! Did you think I'll launch my new website without a giveaway? I want to share the joy with all of you and there is no better way than a giveaway! An even better way is a few giveaways. Yes...you heard right! More than one giveaway is in store for you this month! To be eligible to win this fabulous giveaway we are going to play Treasure Hunt! You need to write a comment to this post telling me where in the website (not the blog or blog post) is the phrase "Saturday Extravaganza" mentioned? Only those who will answer correctly will enter the raffle. The winner will be announced May 3rd. You can find Saturday Mixgravaganza by clicking on the button Free Video Tutorials on the right hand side of the home page. Only found Saturday Extravaganza on this post. found Saturday Mixtravaganza in several places including in the links section on the bottom right of this post as well as Saturday, March 28, 2015 post Wall of inspiration: Spray Ink Background. Thank you! I found something similar here (http://scrapinit.blogspot.com.au/2013/07/saturday-mixtravaganza-romantic-mixed.html). Saturday Extravaganza only on this page. Thank you again and big hugs from Croatia. congrats and best of luck with the new web page! in the website "saturday mixtravaganza" can be found on the right hand side menu on the home page under the tab "free video tutorials"
Thanks for a chance to win these goodies! 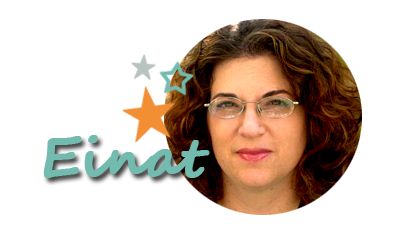 Hi Einat love your work and all tutorials thank you! I found Saturday mixtraviganza on the right hand side of the blog under number 7. Like the others I only found Saturday extravaganza on this blog post!!!! I can only find it on this post. By clicking on the Free Video tutorials button on the right hand side of your home page..: http://einatkessler.com/page.asp?page=5 this is a Gorgeous Prize!!! I found it in the F.A.Q section. After reading the other comments. I reread the question. Not sure if it was a trick question or not. Been a big fan of your Saturday Mixtraviganza for a long time. But didn't see "Saturday Extravaganza" except in this post. I have hunted and my results are - I did not see that phrase in any of the tabs at the top of the page. (I do love the blog colors). It does not show up in your photo gallery. Saturday Extravaganza does not come up when searching your videos. However Saturday Mixtravaganza show is listed 80 times in your blog posting counts on the bottom right. So I am going to say it only shows up here in this post. that's easy! on the Free Video Tutorials :) good luck to me! "Every suterday i host suterday mixtravaganza on my tube channel..."
I've looked high and low, looked at gallery photos, videos on your website...I can't find it. Didn't click any of the links that would take me away from the website as it's on your site, right? Ack! Maybe I need glasses....especially if it's in fine print somewhere. But I've enjoyed the art! I have searched and searched throughout the website and the only place I found the exact words, Saturday Extravaganza mentioned is on this page announcing the contest! THE FIRST TIME THE PHRASE SATURDAY EXTRAVAGANZA IS IN THE QUESTION ITSELF. MIXstravaganza is in Free Video Tutorials but EXTRAvaganza is only mentioned here as far as I can tell! Off to search some more though just in case I am wrong.